No wonder they both looked ~stunning~. 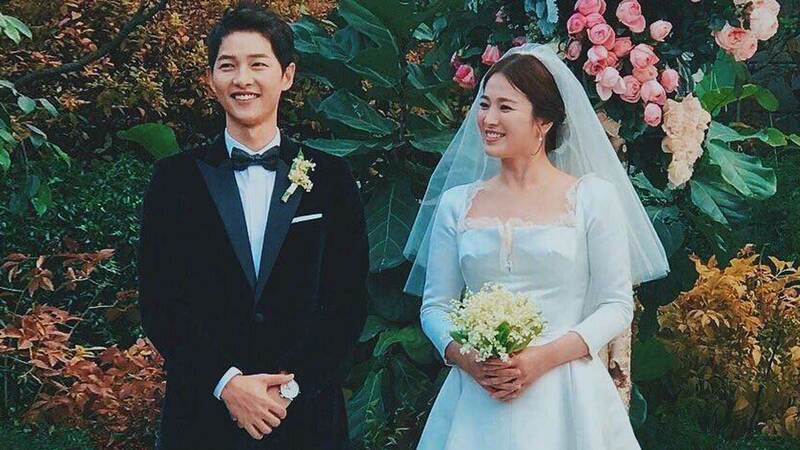 In case you’ve been living under a rock, Song Joong Ki and Song Hye Kyo, adorably called Song-Song or KiKyo by their fans, got hitched on October 31. They were both dressed in Dior for their big day. Hye Kyo’s floor-length ivory gown was flown in from Dior’s atelier in Paris. Her bespoke wedding dress was inspired by a similar look from Maria Grazia Chiuri’s Haute Couture AW17 collection. Meanwhile, Joong Ki wore a Dior made-to-measure peak lapel tuxedo.